The annual Aberdeen Jazz Festival hosts a programme range of events, concerts and gigs from a range of saxophonists, pianists, bassists, and musicians from the UK, abroad and local Aberdeenshire talent. These include singer Alison Burns, guitar virtuosos Martin Taylor, American pianist Mulgrew Miller, New York Vibraphonist Joe Locke, the Alan Skidmore Quartet, Polar Bear, Gwilym Simcock, Neil Cowley and Avishai Cohen the bassist and composer from Israel. It is so popular it has now formed part of the Scottish jazz scene with visitors travelling from various parts of Scotland, within the UK and Internationally. The Aberdeen Jazz Festival 2013 takes places from March 12 to 17 at various venues that include The Blue Lamp, The Lemon Tree, Musa and The Carmelite Hotel. It also includes performance at the Beach Ballroom for the first time. Performers include Ruby Turner, Mud Morganfield and Courtney Pine. Read the full programme for the Aberdeen Jazz Festival 2013 at www.aberdeenjazzfestival.com and for tickets call: 0845 111 0302. 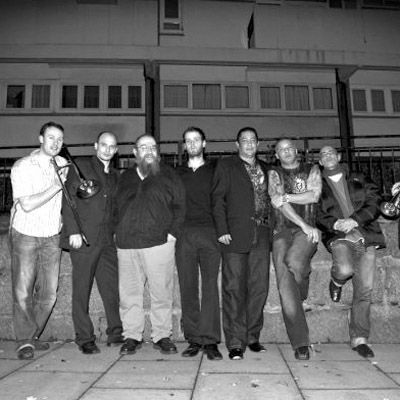 Aberdeen Jazz Festival 2011 takes place from 9 to 13 March. Venues include the Lemon Tree and The Blue Lamp. Performers include Aberdonian Eileen Hunter, Maceo Parker, El Salson, Jeremy Pelt, Neil Cowley, Trio Aab, Denys Baptiste, El Salson, Birdland, Newf, Eduardo Niebla and Dennis Rollins. Jazz Aberdeen have merged with Assembly Direct of Edinburgh to form Jazz Scotland. Eric Alexander & Dave O�Higgins Quintet on Wednesday 10th March at The Blue Lamp, Aberdeen from 8�10pm.  Tickets cost �12.50 (concession �10.50). 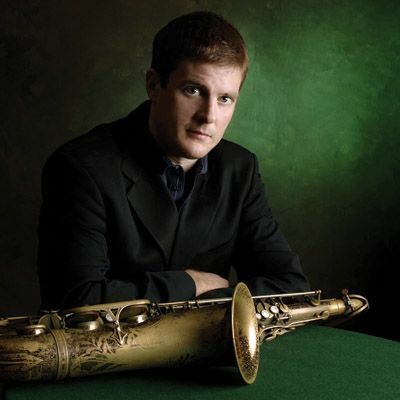 Eric Alexander & Dave O�Higgins Quintet are two tenor saxophonists who epitomise passionate, often very fast, grooving and hard hitting. Rooted in the soul/blues and bop end of the tradition, there's no stronger pillar of the hard blowing establishment than Alexander. A giant of New York tenor saxophonists, and here he is in a new two tenor band with the fleet-fingered Londoner, O'Higgins and a top rhythm team of Andrew McCormack (piano), Arnie Somogyi (bass) and Kristian Leth (drums). Jacob Karlzon Trio at The Blue Lamp on Thursday 11th March from 8�10pm. Tickets are �10 (conc �8). Jacob Karlzon is one of the leading pianists in Europe, Karlzon has an extraordinary touch. He can hit the most sensitive of emotional chords, communicating directly with audience's hearts, and he can also play thrilling, uptempo grooves, packed with bright melodies. His Trio with Hans Andersson (bass) and Rasmus Kihlberg (drums) covers all the bases � wonderfully turned simple folkloric ballads, blues grooves, swinging..if you like Keith Jarrett, Bill Evans or EST, you'll be thrilled by Karlzon's band. Graeme Stephen Sextet at The Blue Lamp on Friday 12 March from 8�10pm with tickets only �10 (conc �8). Graeme's star continues to rise, with wider critical acclaim, high profile tours, and new recordings. Once a mainstay on the scene, he's now a major force. The guitarist's Sextet is his flagship group. "A beacon of original, ambitious and brilliantly realised music" (The Herald) � beautiful melodies, rhythms full of surprises, evocative soundscapes, folk musics, blowing - with a band packed with exciting musicians: Phil Bancroft (saxes), Fraser Fifield (saxes, whistles), Ben Davis (cello), Euan Burton (bass) and Stu Ritchie (drums). El Salson at the Aberdeen Blue Lamp on Friday 12 March from 10.30pm�00.30am. Tickets: �10 (conc �8). The Blue Lamp moves to Havana for this late night session as El Salson�s infectious salsa rhythms fill the dancefloor. Fronted by Salsa Celtica's great Venezuelan singer, Lino Rocha and featuring Cuban timbale maestro, Eric Alfonso, the band is packed with seasoned top class salsa and latin musicians: Dougie Hudson (congas/percussion), Simon Gall (piano), Pete Coutts (tres), Mike Rae (bass), Scott Annison (trombone), Euan Allardice (trumpet). Alan Barnes & Ken Mathieson Classic Jazz Orchestra at Aberdeen The Blue Lamp on Saturday 13 March from 7.30�9.30pm. Tickets: �12.50 (conc �10.50). Playing the music of Benny Carter. Ken Mathieson's octet features the cream of Scottish classic talent, joined tonight by the effervescent clarinettist and alto saxophonist Alan Barnes playing Carter�s role. A rare chance to hear music by one of the great giants of swing to bop. "Terrific music, imaginative arrangements and strong playing with great panache" (The Herald). 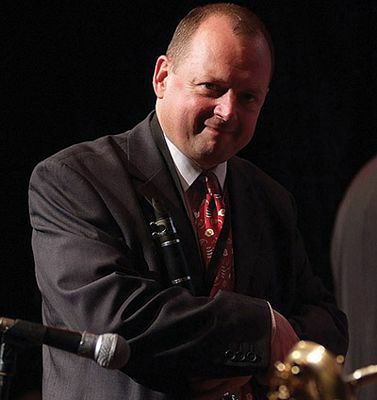 Garry Gibb Quartet featuring Anders Bergcrantz - Garry blows hot swinging modern jazz in the Rollins, Coltrane, Joe Henderson mode, and deserves his status as the North East's leading resident musician. Here he is in illustrious company, with one of the leading trumpeters in the world. Bergcrantz is a phenomenal musician. He's got all the fire of Freddie Hubbard, the subtlety of Miles Davis, and a truly distinctive personal voice. He astonishes with his extraordinary technical capacity, but never lets it get in the way of the music. Tonight: hot, hard grooving blues and bop. Mercy, Mercy, Mercy at Aberdeen The Blue Lamp on Sunday 14 March from 8�10pm with tickets costing �10 (conc �8). A brand new "supergroup" (Herald) fronted by trumpeter, Colin Steele and alto saxophonist, Martin Kershaw, playing the music of Cannonball and Nat Adderley. Steve Hamilton (piano), Brian Shiels (bass) and Alyn Cosker (drums) are the rhythm team. This is soulful, funky, swinging jazz that makes everyone feel good � audiences and musicians. Some would say it's the essence of Blue Note Jazz. Hot, steaming rhythm section, passionate solos, catchy tunes. Destined to be one of the major new groups of 2010. The popularity grew to such an extent that in 2008, there would be an all year round events held in the City. These are held at the Blue Lamp in the Gallowgate area on Thursday evenings from 8pm. Performers include International stars such as saxophonist Gilad Atzmon's Orient House Ensemble and the Neil Cowley Trio who were the winners of the 2007 BBC Best Jazz Album Award. Then in September 2009 it will be re-launched as the two week event called Aberdeen International Jazz Festival which will then be held every other year. The dates will coincide with the Offshore Europe Exhibition. Paul Towndrow is one of the UK�s most exciting young saxophonists. With a style that honours the great masters of the past and present while creating an individual voice of his own, he has won lavish praise from the critics as well as earning enthusiastic responses from audiences at home and abroad. A star soloist currently with both the Scottish National Jazz Orchestra and the multinational European Colours Orchestra, he brings a hugely talented quartet featuring Steve Hamilton (piano), Mike Janisch (bass) and Alyn Cosker (drums) to the Blue Lamp for a session of tough, melodic blowing. A turbo-charged amalgam of all your saxophone heroes John Fordham, the Guardian. 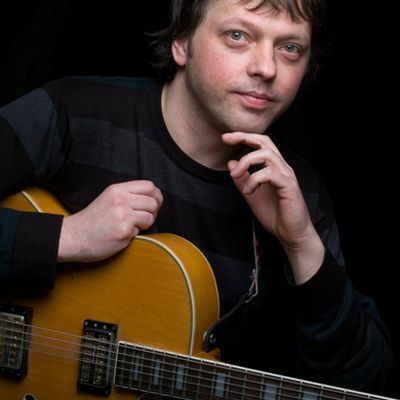 One of the most accomplished and inventive guitarists on the European scene, Graeme Stephen began playing rock music during his teens in Aberdeen before discovering jazz through Pat Metheny and Jim Hall. These influences, along with a thrilling sense of adventure, still inform his music, which has recently found enormous favour at London Jazz Festival and on tour with his multicultural sextet. Back at the Blue Lamp for a hometown gig, he leads long-time associates Garry Gibb (saxophone), Pete Lowitt (bass) and Bill Kemp (drums) in a quartet full of energy and engaging creativity and fresh from a successful performance at the Maijazz Festival in Stavanger. Double bassist Avishai Cohen brings a world class trio to the Blue Lamp, playing music that sings with emotion and packs an irresistible rhythmical punch. Since coming to international attention with keyboard legend Chick Corea in the 1990s, Israeli-born Cohen has gone on to record nine acclaimed albums, blending jazz tradition with Israeli folk music and popular influences from The Beatles to Dr Dre. He introduces the astonishingly gifted young pianist Shai Maestro alongside effervescent drummer Mark Guilliana for a session that will appeal to EST and Neil Cowley Trio fans especially. �one of the best double bassists in the world Time Out. Scotland�s very own Howlin� Wolf, Tam White has been a major presence on the UK blues and jazz scene for almost fifty years. With a rasping, lived-in voice that caused British blues godfather Alexis Korner to purr in admiration and inspired the late Bad Company bassist Boz Burrell to form a band specially to feature him, White declaims blues standards and his own street-wise songs with unimpeachable authority. Accompanied by Paul Harrison (organ), Malcolm MacFarlane (guitar), Martin Kershaw (saxophone) and Tom Bell (drums), playing in the spirit of Hammond organ master Jimmy Smith, White is proof positive that hard times never felt so good. Saxophonist Adam Bishop leads one of the freshest, most compelling groups to arrive on the London scene in the past decade. Born in England and raised in Australia, Bishop studied formally at the Canberra School of Music and with heavyweights including Barry Harris and Mark Helias in New York and has played with Tomorrow�s Warriors and Polar Bear. Featuring vibraphonist Jim Hart, Larry Bartley (bass) and Shane Forbes (drums), his quartet is the perfect setting for Bishop�s assured, lyrical and searching tenor and soprano saxophones and bass clarinet, creating melodic, daring music with grooving momentum. The Theo Travis� Double Talk event takes place on the 6 June at 8pm at The Blue Lamp. Saxophonist and flautist Theo Travis is joined by his group Double Talk. They feature Hammond organist Pete Whittaker, guitarist Mike Outram and drummer Roy Dodds. Together they create music that is by turns intensely physical, hauntingly atmospheric, passionately direct and infectiously groovin�. The Trio AAB are a waggish and mischievous group whose sound is feel good rhythms. Trio AAB are the twins Phil and Tom Bancroft on saxophones and drums with guitarist Kevin Mackenzie. 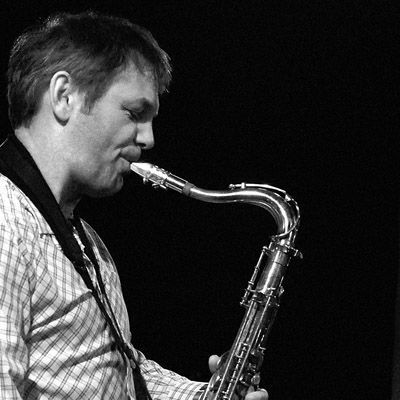 Saxophonist Martin Kershaw is one of the Scottish scene�s top talents. He is a star soloist with the Scottish National Jazz Orchestra and has won acclaim for his celebration of Charlie Parker�s music. Martin Kershaw is a vital member of the experimental trio Trianglehead. The Martin Kershaw Quartet group brings their unique creation of melody, swing and improvisation music. The Neil Cowley Trio have appeared with Jools Holland and are winners of the BBC Jazz Award. The Neil Cowley Trio have been described as having an exciting megadynamic style up for the MP3 generation with their pianist, bassist and drummer. The debut album of The Neil Cowley Trio is called Displaced. The Hub are from New York and combine Jazz music with punk rock. The Hub are Tim Dahl (electric bass), Sean Noonan (drums) and keyboardist Alex Marcelo. Scottish Jazz singer Cathie Rae has a warm, personal approach that brings out the story in every song. Cathie Rae will be accompanied by a band comprising of piano (Paul Harrison), bass (Euan Burton) and drums (Stu Ritchie). Her special guest will be Colin Steele on the trumpet. NeWt is one of the most creative bands on Scotland�s vibrant jazz scene. NeWt features the Scottish National Jazz Orchestra trombonist Chris Grieve, the splendidly accomplished drummer Chris Wallace and guitarist Graeme Stephen, an Aberdonian who is carving out an international reputation. The NeWt trio combines melody with adventure, harmony with intensity and muscular rhythms with poised reflection. Their music is entirely composed by the group and is Scottish in its darkness, international in its influences and universal in its appeal. Peter King has been describes as one of the world�s greatest keepers of Charlie Parker�s alto saxophone flame. A brilliantly creative player, Peter King negotiates bebop�s hairpin bends with the speed of thought of a formula one racing driver and can also play ballads with sensitivity and major emotional impact. Leading a top London quartet with Steve Melling (piano), Geoff Gascoyne (bass) and Martin Drew (drums), Peter King brings the bebop spirit into the modern age, presenting music brimming with virtuosity, imagination and heart. 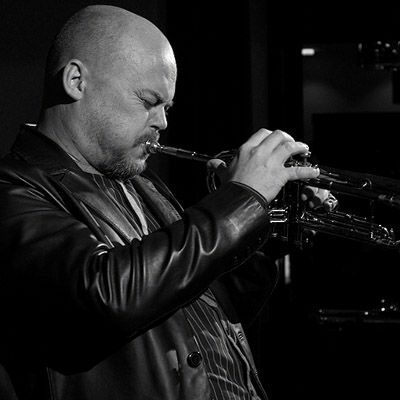 The Saxophonist Danny Healy is one of the most vital musicians on Melbourne�s vibrant music scene. He has been inspired by Sonny Rollins, Joe Lovano, Joe Henderson and Dexter Gordon and has led his own trio and quartet for the past decade. Danny Healy is a star performer with the Melbourne Jazz Orchestra. The group he brings to the Blue Lamp features long-time associate, Berlin based guitarist Jon Delaney, who has recently been making a big impression in Europe, leading Scottish bassist Brian Shiels and drummer Bill Kyle, and promises keenly reworked standards alongside distinctive original compositions. Konrad Wiszniewski is a UK saxophonists who combines traditional jazz with a new sound described as being full of clear thinking passion. 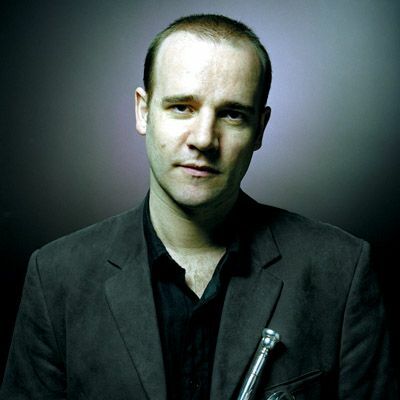 Konrad Wiszniewski is a member of the Scottish National Jazz Orchestra saxophone section and also plays with the European Youth Jazz Orchestra. Joining Konrad Wiszniewski will be the sextet Paul Towndrow and the singer Jacqui Dankworth. Together they will celebrate hard bop and beyond with sharply honed skill and vigour. Organisers have secured a highly impressive roster of artists for this year�s event, with the likes of world-famous Scottish sax star Tommy Smith and internationally acclaimed guitar virtuoso Martin Taylor alongside leading lights of the contemporary scene Polar Bear and The Neil Cowley Trio. It is being broadcast on BBC Radio 2 and Radio 3. Tribute to Canadian trumpet icon Maynard Ferguson with special guest soloist Ryan Quigley, one of Scotland's top young trumpeters. Neil Cowley Trio playing tracks from their album Displaced. Wayne Brasel Quartet from Norway who play a blend of jazz with blues, rock and soul. The Wayne Brasel Quartet feature Wayne Brasel on guitar, Per Mathisen on bass, Tor Yttredal on saxophone and Stein Inge Braekhus on drums. Gordon MacNeil's Late Night Jazz with surprise guests. Tommy Smith Youth Orchestra with special guest Joe Locke. Twin City Jazz Concert with University of Stavanger Jazz Ensemble Albus with guests Wayne Brasel on the guitar and Ytterdal on the saxophone. Leo Blanco Quartet. Venezuelan pianist plays South American rhythms. Colin Steele's "Kind of Blue". Ulf Wakenius Quartet. The Swedish guitarist is joined by Paul Harrison on the piano, Stuart Ritchie on drums and Aidan O' Donnell on bass. Martin Taylor with Alison Burns at the AECC Concourse. A carvery meal before these performances is available at the cost of �17.50. Tables must be booked in advance by calling (01224) 330345. Pete Carney and Orange Alert. Chicago saxophonist Pete Carney joins Orange Alert to play a blend of hip hop, house, and nu soul. Gwilym Simcock Quintet. This is a free concert with a live performance on the BBC Radio 3 Jazz line up programme. Free tickets can be obtained by ringing the BBC Radio3 information line on 08700 100300. Pianist Gwilym Simcock is joined by John Parricelli on the guitar, Stan Sulzmann on the sax, Phil Donkin on the bass and Martin France on the drums. This free performance is part of the New Generation Artists Scheme of which Gwilym Simcock is a member. It is supported by Aviva plc. Swedish singer Victoria Tolstoy (the great great granddaughter of Leo Tolstoy the author of War and Peace and Anna Karenina). Aberdeen Jazz Review. This free concert showcases the best talent of Aberdeen and Aberdeenshire jazz musicians. BBC Big Band with special guest Broadway singer Elaine Delmar. Martin Taylor will be joining the BBC Big Band. This Aberdeen Jazz Festival performance will be broadcast live on BBC Radio Two. Yuval Ron and the Residents of the Future. This band from Israel plays a mixture of rock, jazz and metal. Meals are available at these fringe events. 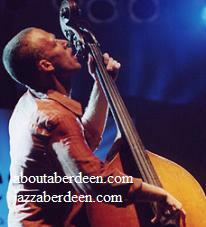 The Aberdeen Jazz Festival first took place in 2004 and has been held each year since. The third annual Aberdeen Jazz Festival attracted more international stars in an expanded programme which also featured additional venues. Top American jazz pianist, Mulgrew Miller and acclaimed Israeli bassist and composer, Avishai Cohen, lead the overseas line-up. It also attracted BBC Radio 3 who recorded the Mulgrew Miller Trio concert and was also broadcast live from the festival the following day to the whole of the UK. 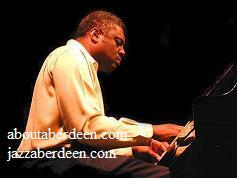 The programme was presented by another virtuoso pianist and composer, Julian Joseph, who was interviewed Mulgrew Miller along with other stars. The opening night included the big band sound of the Aberdeen Jazz Orchestra, with special guest star singer Tina May, who has performed with most major big bands in the UK, including Humphrey Lyttleton's. Over 100 youngsters fine-tuned their skills at Jazz workshops which have become a popular feature of the festival. These included master classes by Mulgrew Miller and Alan Skidmore. Aberdeen City Council is the main sponsor for the Festival. It is also supported by the Scottish Arts Council. Other sponsors include Clydesdale Bank, Aberdeen Audio Visual, The Douglas Hotel, Aberdeen College, The Clubhouse Hotel, EventScotland and The National Lottery. Each year there is a main sponsor and in 2007 it was KW Ltd the international offshore pipeline and subsea engineering consultancy firm.